It’s Hip to Be Square This Holiday Season! LightBoxArts is a sturdy, MDF LED back-lit cube with the ability to insert and change out artwork. 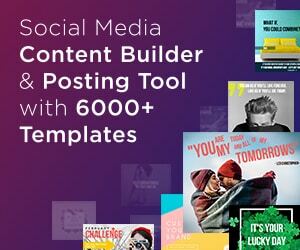 But what really makes it stand out is their customizable component; the website can connect to your Photo Stream or Instagram library, making it easy to upload a photo and make your own lightbox! With the ability to insert and change out artwork to fit any aesthetic, LightBoxArts allows you to personalize your very own piece or choose from hundreds of unique designs to fit your décor. Find the best holiday gift for all the Insta-obsessed people on your list – even if that person is you! · Create custom artwork inserts with friendly user interface or choose from one of their own designs—over 200 in all! 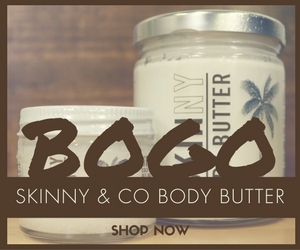 Spoil that friend or family member who is constantly scrolling through an Instagram feed. Share and display stylish, square pictures in a new, innovative way with LightBoxArts! 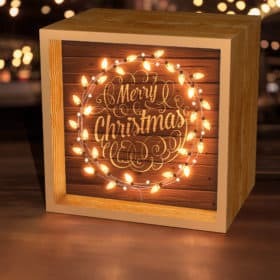 LightBoxArts is available at https://lightboxarts.com as well as over 600 gift stores. 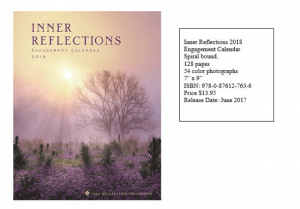 The 2018 edition of Self-Realization Fellowship’s INNER REFLECTIONS engagement calendar offers a beautiful perspective on life, awakening both the senses and the spirit through stunning nature photography from the world’s top photographers, coupled with wisdom from Paramahansa Yogananda, author of Autobiography of a Yogi and subject of the acclaimed documentary AWAKE: The Life of Yogananda. The multi award-winning calendar encourages a deeper awareness of the wonders of being — and one’s connection to the majestic play of the Divine. 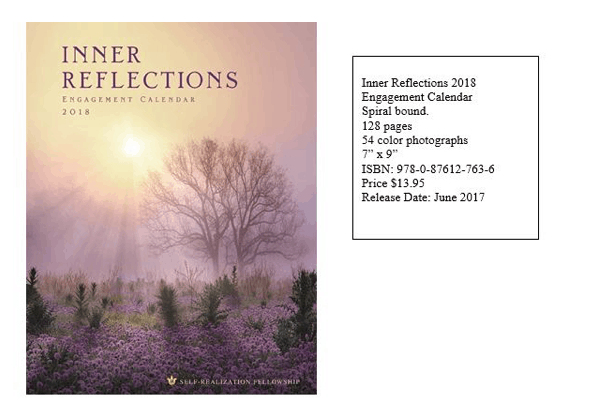 In addition to the week-at-a-glance format—with a color photo and quotation for each week—the 2018 INNER REFLECTIONS calendar features Italian stochastic printing, U.S. and international holidays and phases of the moon. The portable 7” x 9” size makes it easy to tote. The weekly calendar grids can be removed at the end of the year as a keepsake reminder to the the year’s ephemeral beauty. Priced at $13.95, the 2018 INNER REFLECTIONS is available in major bookstores, through online booksellers, or can be ordered directly from the publisher: Self-Realization Fellowship, 3880 San Rafael Ave., Los Angeles, CA 90065. Tel. (323) 225-2471. With October quickly approaching, reaching out to share a Breast Cancer Awareness (BCA) Month product roundup idea from premier writing instrument company Pilot Pen — we have an array of pens benefitting the cause that would be a perfect fit. Imprints special Breast Cancer Awareness pink ribbons on the barrels of four of our bestselling pens (since 2013) — G2 gel pens, Acroball, Dr. 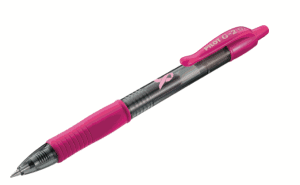 Grip and FriXion Light erasable highlighters. 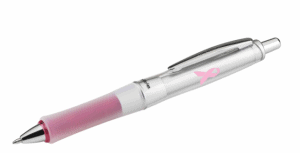 Donates 10% of gross proceeds from each BCA product sold from 1/1/16 through 12/31/17 (up to $130,000). CVS Pharmacy is a go-to destination for finding a variety of high quality gifts for anyone on your list – including designer fragrances, signature toy brands, premium chocolates, personalized photo gifts from CVS Photo, and unexpected finds like bluetooth headphones, virtual reality headsets, family games and more. 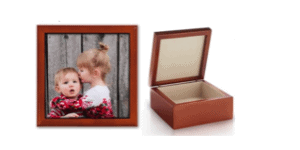 CVS Photo Keepsake Box: Give your loved one a gift that they will cherish for years. This beautiful oak and mahogany stained box is perfect for small treasures. Feature your favorite photo of the two of you on the lid and fill it with some of your favorite memories (tickets to your first movie, other photos of the two of you, their favorite chocolates, or even a special gift like a watch or necklace.) The lid opens with a hinge and is lined with soft velour for a lovely finishing touch. CVS Photo Teddy Bear with Sweatshirt: This cuddly, golden-brown bear is made from high-quality plush material that’s incredibly soft to the touch. Personalizing its sweatshirt to display a favorite photo makes this gift extra special and sure to be loved by all! 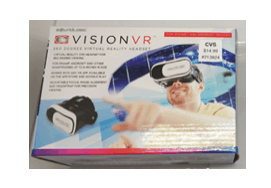 Vision VR 360 Degree Virtual Reality Headset: Give a cool gift that provides hours of fun by turning a smartphone into a virtual reality viewer! Let them experience the immersive, fun and exciting world of VR: watch amazing 3D videos and play interactive 360 degree action games that respond to your movement. Compatible with Apple iPhone, Android and other smartphones and devices with screen sizes up to six-inches, it works with any VR app download and includes a wireless game pad. 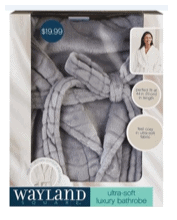 Flannel Bath Robe: Let your loved ones relax in ultimate comfort and luxury with an ultra-soft luxury bathrobe made from plush flannel fabric to keep them warm and cozy all winter long. 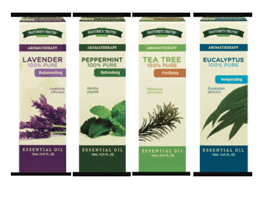 Nature’s Truth Oil Diffuser and Essential Oils: Bring the ancient tradition of Aromatherapy to the home with the Ultra Sonic Aroma Diffuser from Natures Truth. The sleek, wooden design of the diffuser makes an attractive piece in any room, and its convenient size is perfect for any shelf, table, or desk. Each essential oil has its own unique aroma, offering physical & spiritual benefits for everyone on your list. Remember the era when personal notes were the way to connect and stay connected with others? Receiving a letter or greeting card by real mail was like having a personal conversation with someone — an authentic connection that created a visual in the mind and a sparkle in the eye. Art Restart’s 2017 holiday card collection and Look Book are now available at http://www.artrestart.org so you can plan how you will convey a celebration of happiness with loved ones throughout the holidays. Art Restart has the perfect holiday cards to make family, friends, business associates, customers, and all those near-and-dear feel special. With an Art Restart card you can express holiday wishes with a purpose — helping women who are experiencing poverty. In the process, Art Restart creates a means for you to stay emotionally connected to your world. Art Restart is a social enterprise of The Gathering Place, Denver’s only daytime drop-in center for women, their children, and transgender individuals who are seeking programming and necessary services to help them become self-sufficient. For nearly 30 years, it has been a place of hope where positive relationships and essential resources transform lives every day. Art Restart began as a social enterprise in 2013 to allow The Gathering Place provide the women it serves with opportunities to earn money, to stimulate attitude change in the community about homelessness, and to establish mission-supporting income from large quantity greeting card sales. The 2017 Holiday Collection features original art that portrays beautiful scenes of holiday and winter. Most notable are Gold Trees, Holiday Homes, and Snow Storm. To learn more about the 2017 Art Restart collection, visit the website at www.artrestart.org. Give Your Pet A Holiday Stocking Treat! Our dogs and cats are truly members of our family, and what better way to show the love than by sharing some holiday joy by surprising them with delicious, natural Dog or Cat treats from Freshpet? 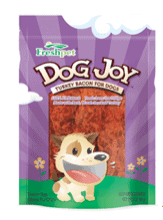 Freshpet is the first and only maker of fresh, all natural food for pets, wants you to give the gift of irresistible, delicious treats to your pets. This holiday, stuff your pet’s stocking with the wholesome, yummy snacks for pets that are sure to be their favorite gift of the year! Whether your pet woofs or purrs, Freshpet® offers freshly prepared treats and meals for your dog and cat, using as always only fresh, natural ingredients. Just be sure to refrigerate! 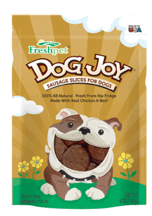 Real chicken and beef sausages sliced thick then baked to perfection, these treats are sure to make your dog bark with excitement. Made in the USA. Give your cat a place to nibble and play with our farm fresh wheatgrass, grown in the USA. Our easy to maintain wheatgrass will satisfy instinctive cravings for fresh vegetation and distract cats from potentially harmful house plants by giving them designated greens to enjoy. Stocking Stuffer for Mom – Does your mom keep a plastic baggie full of used wax candles in preparation of the next family celebration? Upgrade her stash by gifting her a box (or two) of Let Them Eat Candles and she’ll be thrilled to top her next cake with a delicious piece of chocolate. Hostess with The Mostest – Everyone has that friend who’s the perfect host. Let them know you appreciate their ability to throw a killer party with a Let Them Eat Candles gift-ready box of three that they can whip out for dessert at the next dinner party. Everyone Loves Chocolate – Not sure what to get your boss for the holidays? Have no fear, Let Them Eat Candles is sure to get the job done for you. Because who doesn’t love chocolate? Launched by mompreneur Loree Sandler, Let Them Eat Candles is a family-operated company producing handmade edible chocolate candles. Packaged in boxes of three to be a reflection and celebration of a customer’s past, present and future, the candles can be purchased online for $11.95 in a gift-ready box. For more information, visit www.letthemeatcandles.com. Peace on earth? Maybe next year. If all your readers want for the Holidays are a do-over of Election Day, Let’s Go Postal postcard protest kits should be on everyone’s wishlist this year. 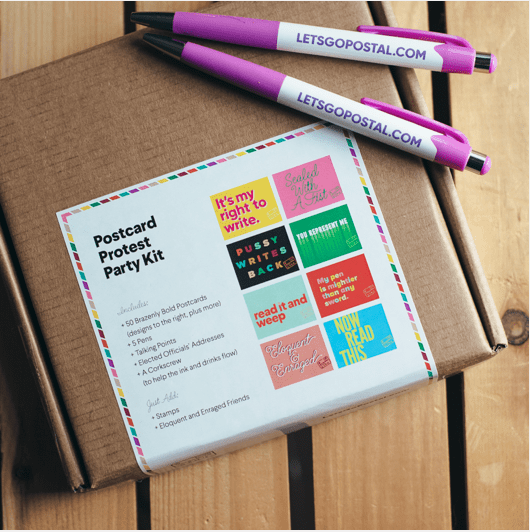 Stocked with everything you need to host a pop-up protest (including cards, pens, stamps, talking points, addresses, and a corkscrew, to help the ink and drink flow), they make the perfect gift for 2017. Whether you’re shopping for your niece in college, your brother who’s still feeling the bern, or stocking stuffers for your whole eloquent and enraged fam, Let’s Go Postal has your entire shopping list covered. 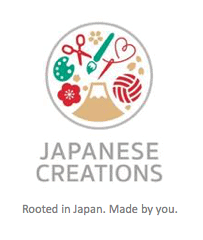 Japanese Creations is a newly-launched online Japanese arts experience creator offering unique Japanese arts and crafts products and courses. Through the Japanese Creations experience, users become uniquely engaged in the culture of Japanese arts and centuries-old traditions that uplift and enrich the mind and soul. With all materials hand-selected in Japan to ensure authenticity, Japanese Creations shares traditional Japanese heritage through treasured crafts, allowing new global artists to share in the cultural experience of creating Japanese arts. Japanese Creations currently offers three traditional Japanese craft styles: Chigiri-e, Chirimen and Etegami. Each Japanese Creations course includes a complete selection of design kits, tools, digital instruction booklets and unlimited online video tutorials as well as online messaging with a course instructor. The all-inclusive courses begin at $180. Visit Japanese Creations at www.japanesecreations.com. Chigiri-e is a Japanese-style paper collage created using hand-dyed Washi paper to create realistic or abstract images that are traditionally used as frameable art, greeting cards or other modern-day crafts. The fibers of Washi paper allow for ideal layering with soft textures that look similar to a watercolor or oil painting. With pre-selected six design kits, the Chigiri-e course offers multiple techniques across a variety of projects. In addition, select Chigiri-e kits are available for separate purchase. Ranging from $9 to $32, these kits are perfect for gift giving or as supplements to the course kits for more Chigiri-e experiences. Chirimen is the Japanese name for fabric with Shibo, or soft wrinkles, on the surface. Traditionally used to create kimonos, this unique fabric is typically made of silk. Since the 17th century, the art of Chirimen has been used to transform small pieces of this textured material into exquisite, hand-sewn pouches and ornaments. 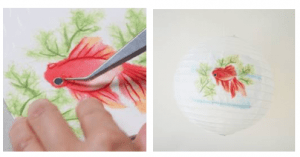 The Japanese Creations Chirimen course has been designed by Nobuko Naito, a renowned Japanese Chirimen master crafter, and includes all materials, tools and instructions to create beautiful keepsakes and meaningful gifts. 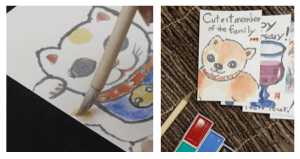 Etegami is a colorful folk art consisting of simple Sumi ink drawings, Gansai watercolor paints and a thoughtful sentiment, traditionally created on postcards or Washi paper and given as greetings. Sumi, a type of solid “ink stick,” is used in eastern Asian cultures for both calligraphy and brush painting. Gansai paint is unique from Western watercolor in that the binding agent gives the paint a shiny, opaque finish. Each Japanese Creations Etegami course teaches users how to use Sumi ink and Gansai paints, including how to correctly hold the paintbrush to achieve authentic artistic designs. The Etegami tool kit also includes a letter stamp set as well as online instructions on how to create an individualized stamp design so the artist can create a unique signature seal to use on each finished Etegami creation, a centuries-old Japanese tradition. What’s This Year’s Most Important Holiday Gift? Hands down it is the incredible Earthquake Bag from www.earthquakebag.me – who doesn’t want to know their loved ones will have emergency supplies when they need them most. The bag works in all emergency situations, not just earthquakes. We know we need to be prepared, but pulling the trigger to buy an emergency supplies bag doesn’t always happen before the bad thing does. Earthquake Bags are available for individuals, families, the car and even for your dog or cat! The company founders spent the last two years testing the best emergency prep gear, researching what is really necessary (and what isn’t), and figuring out how to make emergency prep as simple and painless as possible. Bags don’t have useless stuff, but instead come with things like food, water, dust mask, rope, 16 function knife, safety goggles, gloves, hand crank flashlight, radio, phone charger, waterproof matches, poncho, mylar sleeping bag, hand warmers, tube tent and the list goes on. 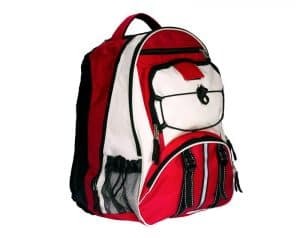 They’ve sold 10,000 bags to grandparents, empty nester moms who want their college kids to be safe, parents who can create a bag to keep their families of two, three or up to six people safe for as long as seven days and pet lovers too. World Vision’s Gift Catalog offers gifts that have a multiplier effect—positively impacting the giver, receiver and those in need. 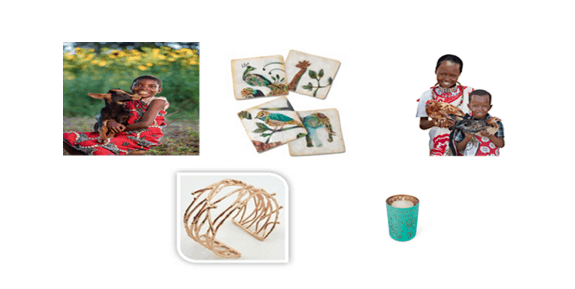 By simply purchasing any of these beautiful gifting items, you can join World Vision’s efforts to tackle poverty and injustice around the world, helping children, families and their communities worldwide to reach their full potential! Kenyan Salad Scoops ($75) – This practical and ethically-produced set would look great in any kitchen. The hand-crafted, olivewood scoops are made by artisans who receive Fair Trade wages for their craftsmanship. 10 Small Farm Animals to a family in need ($125) – Giving the gift of 6 ducks, 2 chickens and 2 rabbits will provide nutrition and income to a family for years to come. This video showcases the overall impact 10 animals has on the quality of life for the receiving family. 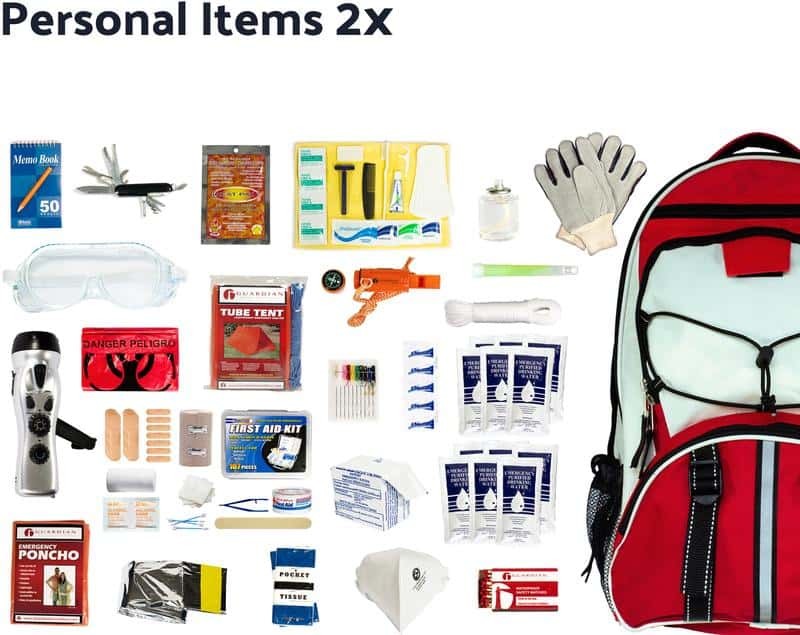 $600 Worth of School Supplies, including teaching materials, textbooks, toys and sporting equipment ($75). Capiz Shell Coasters – made by Filipino artisans overcoming poverty through their work ($75). Tree of Life Votive Holder – artisans in India make these beautiful pieces to raise themselves out of poverty and help light the way for their children’s education ($65). Medicine for children– many people live without access to the medical care they need to survive. You can provide $320 worth of medicines for the low price of ($40). Crated with Love is a date night subscription box that allows couples to save time, money, and stress while creating a moment each month to add some romance! HOW IT WORKS: There are three facets to every box. The first, of course, is the date. 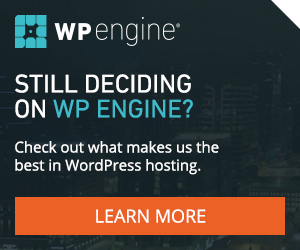 Each date has a specific theme that matches the seasons or a particular topic. For example, the To the Moon and Back date (stargazing), the I Love the 80s date (retro-inspired), and even the Let’s Chalk About Love date (you guessed it, a communication and chalk date). In addition to the items, there are 4-5 activities or games that correspond to the theme. These challenges not only aim to add a little fun to date night, they are also specifically designed to improve relationship skills (communication, teamwork, trust, etc.). Each couple also receives access to Crated with Love’s online bonus content that includes extra games, activities and even date night dessert recipes! 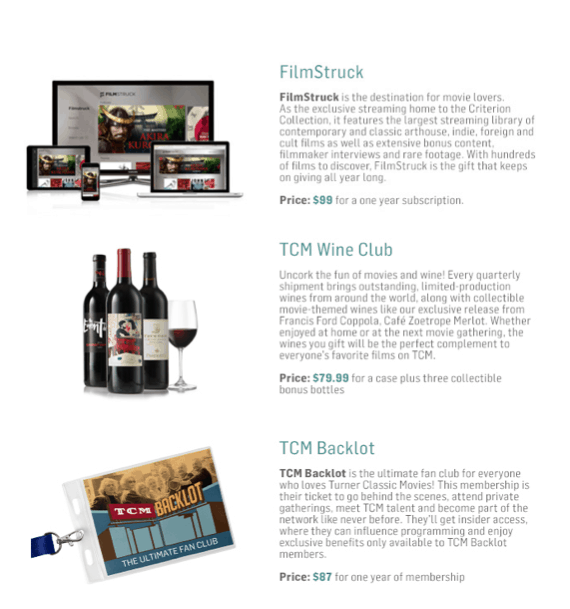 Members (or Crateys) can either sign up for a month-to-month, three-month, six-month, or year subscription which automatically renews or they have the opportunity to choose a past theme as a one-time option. Base, month-to-month subscriptions are just $19.99 per month and include free shipping. “When I was 14, my daddy died a week after Christmas. Because of that, our family endured many sad Christmases in the years that followed. 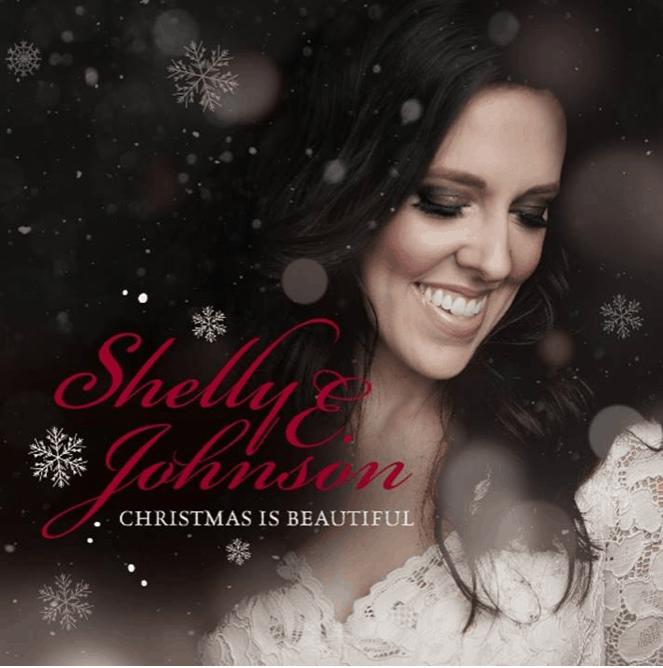 It’s been an amazing journey watching God restore joy to our family over the years and once again making Christmas beautiful. I know Christmas can be a hard, sad time for so many people, so my hope for my new album Christmas is Beautiful is that it will be a fresh reminder of the faithfulness of God,” explains Shelly. 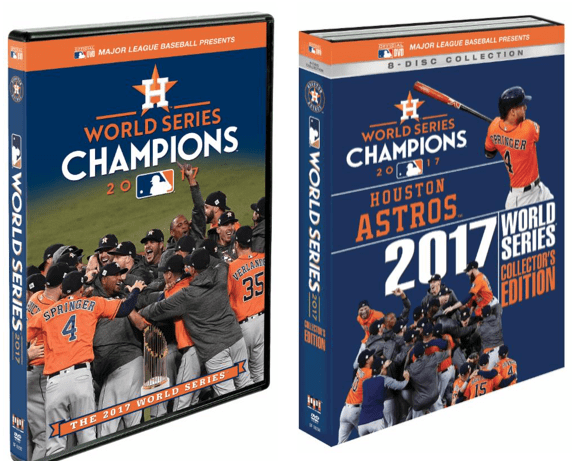 Great for your holiday list this year: THE 2017 WORLD SERIES Official Documentary from Major League Baseball and/or the 2017 WORLD SERIES COLLECTOR’S EDITION: HOUSTON ASTROS, which includes every complete unedited game of the Fall Classic. A little more than a month ago, the Houston Astros delivered the first World Series Championship in team history — an emotionally uplifting victory for a city in distress. 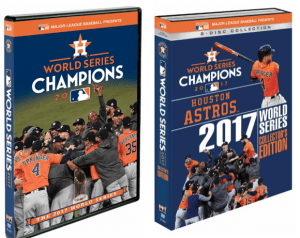 The pulse-pounding story of the Astros run to the Championship was recently unveiled by Major League Baseball, now available on DVD and Blu-ray. Both Winning Sets from Shout! Factory and Major League Baseball are Loaded with Extras, Including Regular Season Highlights, World Series and Parade Highlights, Clinching Moments and More! 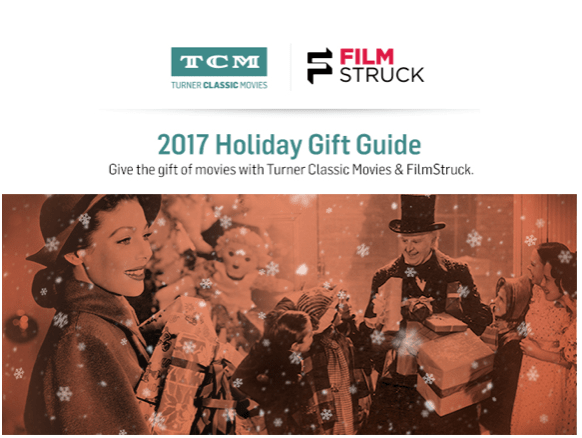 GiftsForYouNow.com’s new must-have gifts for the holiday season are now available. From customized apparel to personalized picture frames, each product is one-of-a-kind and is sure to exceed your loved ones expectations. Most tend to think personalized gifts are out of their price range and/or it takes too long to order. GiftsForYouNow.com makes affordable, high-quality items with a personal touch and can deliver them quickly. 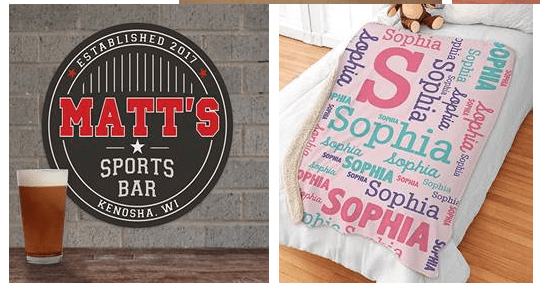 Personalized Sherpa Blankets – cozy blankets available in a multitude of colors or themes (sports!) Prices start at $49.99. Fun Kid Gifts – A chalkboard notebook set or pencil pouch customized with his/her name or even a fun apron or gym bag! Prices as low as $10. Canvas & Wall Décor – Add a personalized touch to your home with custom wall hangings and picture frames with prices starting at $22. 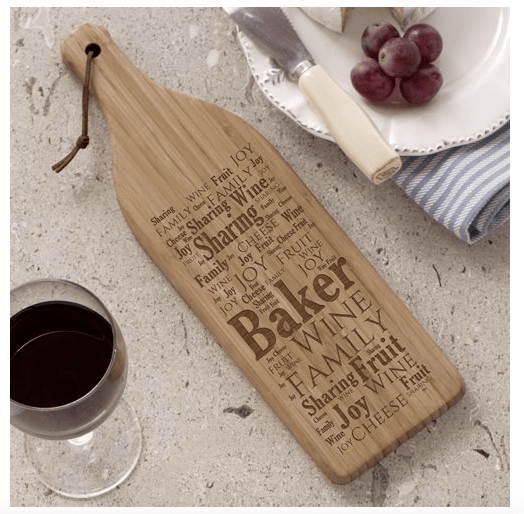 Kitchen & Home Décor – From custom baskets to picture frames, hand towels and glassware, these are great gifts to bring to a party or for the Martha Stewart in your life. GiftsForYouNow is a family business based in the western Chicago suburbs, providing thoughtful personalized gifts for all occasions to terrific gift-givers year round. 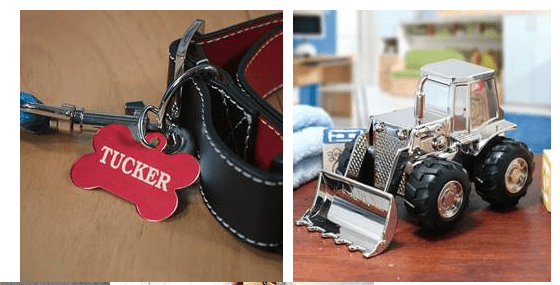 Opened in 1999, GiftsForYouNow is a mid-sized business with the goal of helping you add your personal touch to terrific personalized gifts for baby showers and weddings to pets and even memorial items. For more information, please visit www.giftsforyounow.com.